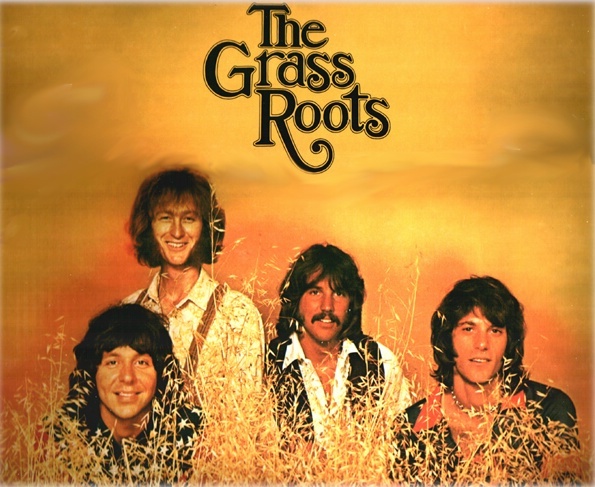 The Grass Roots were a real band, but even the liner notes of the several CD compilations that exist for the Grass Roots tend to dismiss them as a studio creation. They'll tell you that an already-formed band called the 13th Floor assumed the name of The Grass Roots. They'll tell you that the Grass Roots were a "faceless" band with an ever-rotating membership, with the one consistent "element" being the voice of Rob Grill who led them on all of their hit singles. But don't believe everything they tell you. The fact is that both Rob Grill and Warren Entner were the lead singers on many of the group's biggest hits, often switching leads between verse and chorus ("Midnight Confessions", "Wait A Million Years", "Let's Live For Today", "The River Is Wide") and sometimes even mid-verse! ("The Runway"). Both Rob and Warren were in the group for their entire 1966-1973 hit making years. Another hugely important member on the vocals was Dennis Provisor, who not only sang the entire lead for one of their hits ("Walking Through the Country") but sang lead parts on other songs, also switching with Rob, and of course provided the dynamic soul-shouting on hits like "Sooner or Later" and "Two Divided By Love" that gave the group that edge in their sound that kept them solidly in the rock/soul/pop genre. Rob, Warren and Dennis also had remarkably similar voices, so much so that it was sometimes difficult to tell when the lead vocals switched. But each had their own individual color and tone to their voices, and it was those differences combined with the similarities that made the group such a vocal powerhouse. (Similar voices with different hues have been the secret of many successful acts in creating vocal dynamics and exhilarating harmonies - Bread, the Bee Gees, Sonny and Cher, Three Dog Night, and Chicago are just a few of the groups that come to mind that used subtle vocal-switching to make hugely effective dynamics in their songs, and the gift of similar but distinctive voices singing together to create incredible harmonies.) But these important contributions to the group's "sound" seem to be overlooked in almost everything written about them. Still, Rob was the primary lead singer and had the best voice (one of the best in rock history) and a totally unique styling that could set you to shivering within moments of hearing it. And still sounding and looking great, as if he hasn't aged a day, it is Rob that leads the current version of the Grass Roots on their very active touring schedule.